Catherine BOILEAU (Team 2) was awarded, together with Helen Hobbs (University of Texas Southwestern Medical School, Dallas – Etats-Unis) and Nabil Seidah (Institut de recherches cliniques de Montréal – Canada), the Grand Prix de la Fondation Lefoulon Delalande during a ceremony held on Wednesday, May 30 2018 under the Dome of the Institut de France. 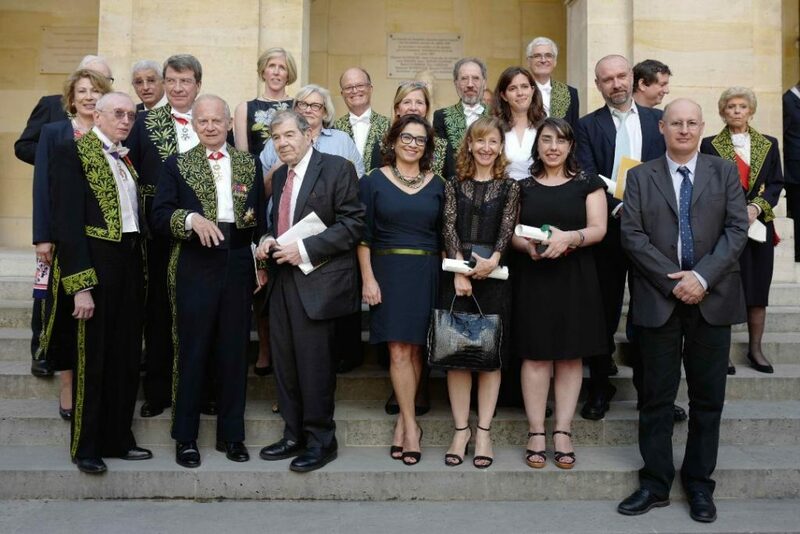 The ceremony was chaired by Mr. Jean-Louis Ferrary, President of the Institut de France, with Mrs. Hélène Carrère d’Encausse, Permanent Secretary of the French Academy, and Mr. Xavier Darcos, new Chancellor of the Institute, succeeding Mr. Gabriel. de Broglie.